One of Windows 10’s biggest annoyances is the aggressive way it pushes out updates. The operating system has a nasty habit of installing new updates while you’re in the middle of using your PC, which can slow down your computer and cascade into forced, random reboots in the middle of the day—woe unto whatever you were working on. Microsoft responded to complaints by adding optional Snooze and Active Hours features that help users delay Windows Updates for more convenient times, but it’s still an issue. The next big Windows 10 release could—could—cure the headaches by using machine learning to predict when to update your PC. Microsoft announced Preview Builds 17723 and 18204 for Windows 10 Insiders late Wednesday. Tucked among the various other tweaks and changes—new emoji, a Mixed Reality “Flashlight” view into the real world, et cetera—is the introduction of a new system for rolling out Windows Updates. Microsoft says it’s been seeing promising results in internal testing, and since the predictive model is based in the cloud, the company can fine-tune its behavior quickly. Now Windows Insiders get to act as the guinea pigs for the rest of us. If you’re an Insider and find your PC rebooting at weird times on the newest builds, leave a report in the Insider feedback hub app so Microsoft can take a peek at what happened. The new system sounds much more convenient than today’s update process, though we’ll need to see how it behaves in the real world before passing judgement. Is the predictive model solely time-based, or does it take your current workload into account? Will my PC still potentially reboot if I step away for an hour but left a crucial, unsaved document or browser tab open? If Windows Updates are going to rely on the brains of the cloud rather than the active consent of the user for reboots, the devil’s in the details. Protect your work now with Active Hours: The next big Windows 10 release isn’t expected until fall, however, and there’s no guarantee the new updating system will make the cut. 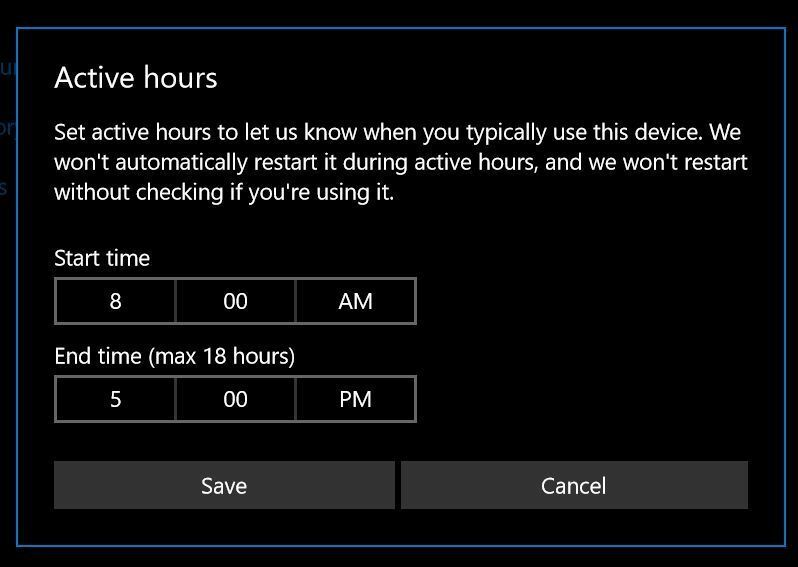 If you want to assume more control over when updates reboot your system today, use the handy (yet hidden) Active Hours tool. Head to Start > Settings > Update & Security and click on the Change active hours option. You can then tell Windows which hours you typically spend at your PC, and the operating system won’t automatically restart your system during those hours unless you give it permission. Be warned: If you shut down your PC when you’re done with it and never let it update during off-hours, it will still eventually force a reboot even with Active Hours enabled. You can’t put updates off forever. 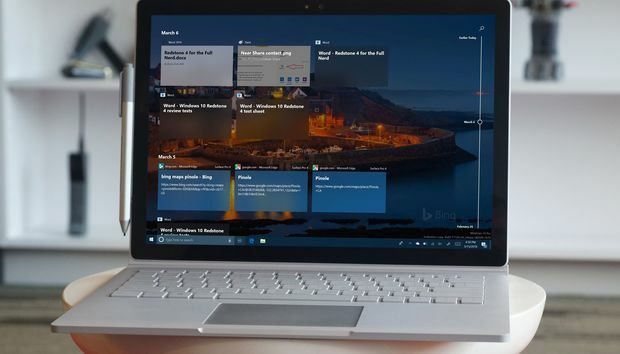 Check out our guide to Windows 10’s best tips, tricks, and tweaks for even more useful tools lurking deep inside the OS.